The recently announced Canon EOS C100 entry level, professional video camera has created a lot of buzz and excitement. The expected price will be $8,000 and delivery is for November 2012. Canon has produced a detailed webpage explaining the camera's key features, specifications and technologies. 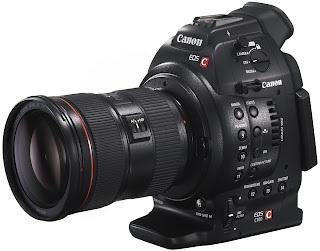 Click on the Canon Link here to read about this new product.